Entrant #47 - Christine W.
Selena Thinking Out Loud With Purpose would like to introduce this Miss Jessie's Sample Pack Giveaway for the Natural Hair beauties out there! Whether your hair is wavy or curly, Miss Jessie's has the right product for you. There's just so many ways to love on your hair and plenty of styles that work fabulously for a girl's night out, on a date, or if you're on the red carpet. 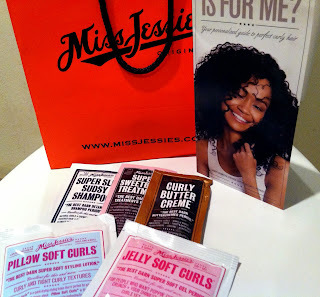 Miss Jessie's hair care products help to bring out the best in your wavy and curly hair types without all the fuss. If you've been looking for a new line of hair care products, then this sample pack is right for you. Miss Jessie's is hands down the proven expert in curls, period! Please use the Rafflecopter entry form provided below. Make sure to complete each task BEFORE clicking the ENTER buttons. A new season of shows will begin premiering on your television sets this Fall. Are you ready for your favorite shows to return? Personally, I really enjoy Scandal and Grey's Anatomy. I may even add Sleepy Hollow on Fox, this season, after watching the premiere tonight! But, Selena Thinking Out Loud With Purpose super happy to introduce this TVStoreOnline.com Two T-Shirts Giveaway for one reader. This site has all of your favorite show attire right at your fingertips. You have so many options to choose from and you can show your support for your shows when you buy from TVStoreOnline.com. Make sure to support our sponsor, by following them on their social medias pages. Selena Thinking Out Loud With Purpose believes that you can workout and still look amazing in your workout clothes. I enjoy yoga, Pilates and weight-training. I also prefer clothing that are comfortable and allows free movement. When you're sweating and pushing yourself, you don't want pieces of clothing hanging all over the place, at least I don't. That's why this Yogi Linen Rollover Yoga Pants Giveaway is so perfect for you. You get quality, comfort, and style, all in one. This giveaway run September 9 through September 30, 2013. (they are the first 6 displayed on the page, some examples are below of their style). Make sure to show your support for our sponsor, by following them on their social media sites. All entries are optional. Selena Thinking Out Loud With Purpose is happy to bring you this $30 Corset Chick Giveaway! Corsets are a lady's best friend. They can make any outfit look lovely and fashionably elegant. Corset Chick has plenty of options for you to choose from and with Halloween and the holidays approaching, here's another perfect gift idea. Watch this video for some Halloween Ideas, Ladies!!! Make sure to support our sponsor, by showing your support and following them on their social media sites. All entries are optional. IMPORTANT: Make sure to complete each task BEFORE clicking the ENTER buttons on the entry form. Selena Thinking Out Loud With Purpose is happy to introduce this $50 Blue Steel Giveaway. Jewelry is a great accentuation to any nice men's suit or a woman's lovely gown. It's also a great way to remind the one you love how much you care. Yes, there are many great jewelry retailers out there but it's always good to buy from one who donates some of their funds to charity. With the holidays soon approaching, Blue Steel may be just the jewelry company with the right gift(s) for your family or friends. 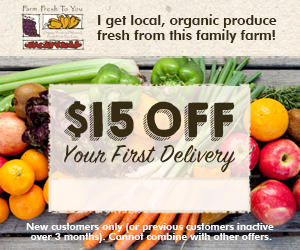 Make sure to support our sponsor, by following them on their social media pages. All entries are optional, but please make complete a particular task on the entry form BEFORE clicking each ENTER button.